Huge Savings Item! Save 14% on the Baker's Secret 1061483 10-by-16-Inch Nonstick Cooling Rack, Set of 2 by Baker's Secret at Baking Love. MPN: 1061483. Hurry! Limited time offer. Offer valid only while supplies last. 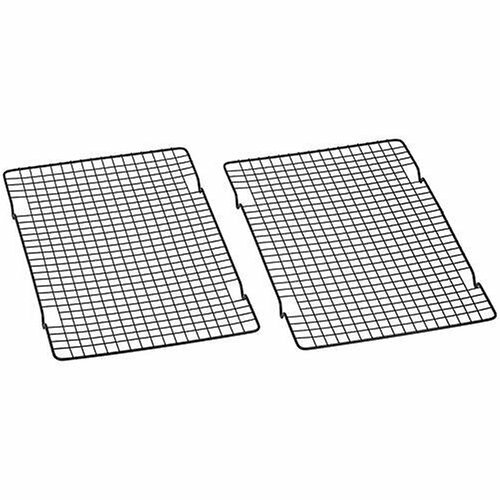 2-tier Baker's Secret 10 by 16-Inch Non Stick Cooling Grid, Set of 2. Baker's Secret gadgets are the perfect addition to your baking needs. 2-tier Baker's Secret 10 by 16-Inch Non Stick Cooling Grid, Set of 2. Baker's Secret gadgets are the perfect addition to your baking needs. Complement your Baker's Secret Metal Bakeware with these cooling racks for outstanding results. If you have any questions about this product by Baker's Secret, contact us by completing and submitting the form below. If you are looking for a specif part number, please include it with your message.